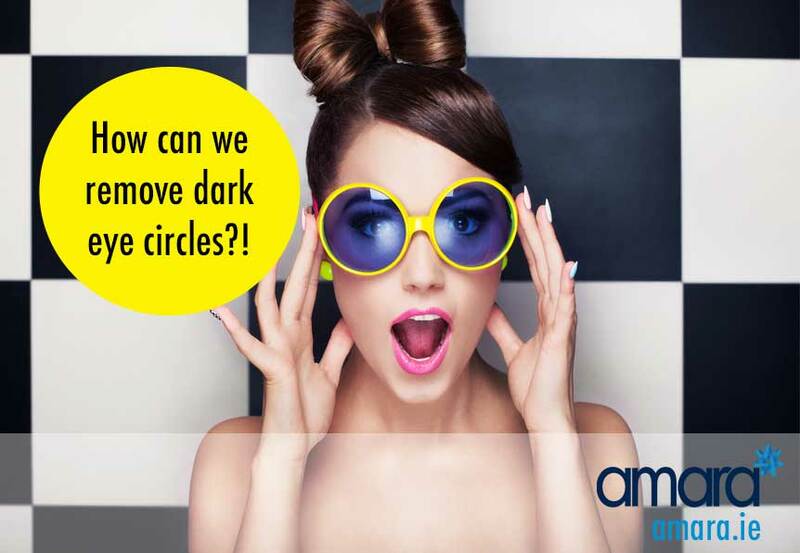 We all get dark circles from time to time- usually a side effect from not enough sleep! But what about when those bags under our eyes seem to never go? Your genetics are probably the most important factor when it comes to anything anti ageing and under eyes are just the same. The skin under our eyes is very thin and as we age this worsens. How can I remove Dark Circles? 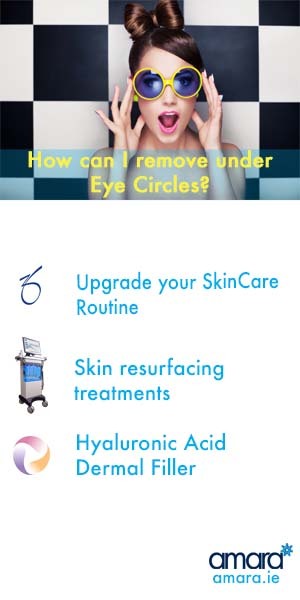 There are a number of different ways we can combat these under eye circles! I’d love to tell you that cucumber or potato slices on the eyes work for everything- now this may work for you but chances are they don’t! Where are you buying them? If you buy your products from a supermarket or a pharmacy you may need to rethink what you’re buying. Anything that can be bought is a supermarket is classified as a ‘Cosmetic’ product meaning it cannot change anything about your face! Buy them from a Skin clinic instead. Though it’s not necessary to buy the most expensive product- it’s usually a good idea to stay away from the cheapest ! Cheaper products tend to mean cheaper ingredients which can actually damage your skin. We all have different skin and depending on genetics and our lifestyle. But we may have certain skin conditions that we weren’t even aware of! Sure if you have Acne then you know if you have Acne But what about Rosacea or Pigmentation? Seeing an expert about your skin is essential to maintain your skin health and ensure you are on the right products. If you suffer from Dark circles or thin under eye skin investing in good skincare and eye cream is essential! ZO Medical HydraFirm Eye Brightening Repair Creme can be used to treat pigmentation under the eyes. It contains lighteners and brighteners such as active Vitamin A and caffeine to reduce puffiness. Shea butter also nourishes and replenishes the skin barrier. Even if you’ve got the perfect skin care for your skin a little boost every now and then. The HydraFacialMD is a skin resurfacing treatment that is fully tailored to your skin. After your consultation with your Skin Health Specialist she will tailor the treatment to your concerns including any dark circles. Hyaluronic acid fillers can be added to our under eye to diminish the look of dark circles. By adding a small amount of Juvederm filler we can fill out the hollows in the under area (also known as Tear Trough Filler) . At Amara we use the Juvederm filler range as they are the most advanced and updated on the market. Not every doctor performs filler for the Tear Trough as it takes a very precise hand. Under eye filler is a very safe and quick procedure usually taking under 15 minutes, typically we would use ½ ml under each eye. Do you suffer from Dark Circles under your eyes? Book in for a Skin Health Consultation now! we would need to clarify where exactly the patches are. The Rejuvapen can be used to treat pigmentation along with some products. However, this would depend on where the patches are. I have chronic dark circles, I’m 29 years old guy. 1: the filler will be the permanent treatment if not how long it will last and also if it’s not permanent, is there any permanent treatment ? 2: how much Doctor consultation fee is ? No, dermal filler treatment of the eye area is not permanent. The fillers we use can be expected to last up to 12months in this region. We would advise against anything permanent. If the darkness of the skin is what’s worrying you then you should know there are some highly effective medical grade skin creams available to treat this. We would be able to provide you with this following consultation with one of our skin specialists. We do not charge for a consultation with one of our doctors – the under eye treatment is €600.